Information is provided here to assist management of diseases and viruses that occur in broadacre crops grown in Western Australia - cereals (wheat, barley, oats and triticale), pulses (field pea, chickpea, faba bean, lentil), canola and lupins. Links will assist navigation of the crop disease information, disease forecasts and publications available on the department website. From an understanding of the biology of plant pathogens it is possible to estimate the risks associated with diseases in key crops. Research undertaken by the Department of Primary Industries and Regional Development and collaborators from South Australian Research and Development Institute (SARDI), New South Wales Department of Primary Industries (NSW-DPI), Agriculture Victoria and Marcroft Grains Pathology has been used to develop tools to allow risk assessments to be made in the lead up to the cropping season as part of a Grains Research and Development Corporation (GRDC) funded project. Risk forecasts for blackleg in canola, blackspot in field pea and pea seed borne mosaic virus in field pea are available below. PestFax is a free weekly informative and interactive reporting service during the growing season. It provides risk alerts, current information and advice on pests and diseases threatening crops and pastures throughout the grain belt of Western Australia during each growing season. Subscribe and view the latest newsletter on the Pestfax page. The PestFax map allows users to report pest and disease finds and view historic maps of past insect and disease reports. Correct diagnosis is crucial for successful management of crop diseases. 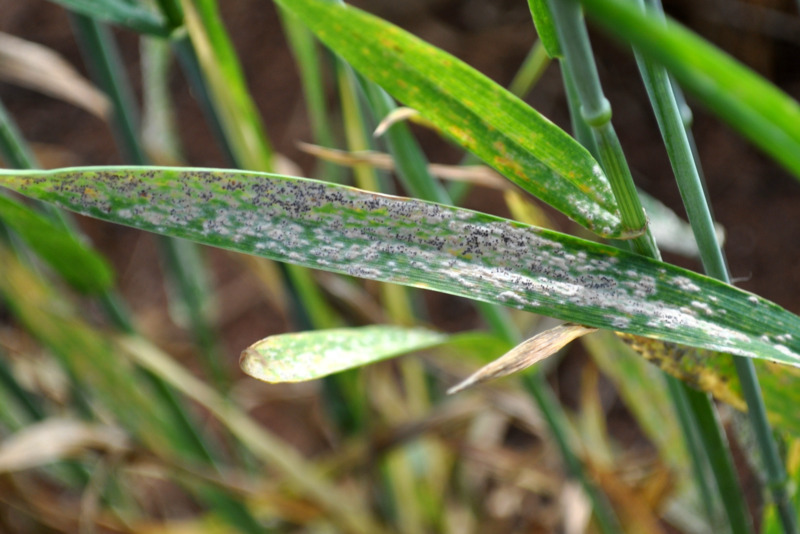 DDLS - Plant pathology services provides a wide range of chargeable services to assist with identification of crop foliar diseases, viruses, nematodes and root diseases. These include plant disease diagnostics (on leaves, whole plants, roots and soil), seed disease testing and weed and insect identification. Refer to the DDLS - Plant pathology services page for more information and to request submission forms, sampling and postage instructions. For more information refer to How to take a plant sample YouTube video. The MyCrop app is available to assist you to correctly diagnose a constraint in your crop yourself. For more information refer to How to diagnose crop constraints YouTube video, or visit the MyCrop page to download the MyCrop app. Control of volunteer crops and weeds that come up over summer and being aware of the seasonal outlook are important for good disease management. It is also important to know which fungicide product is registered for which crop and disease in WA.